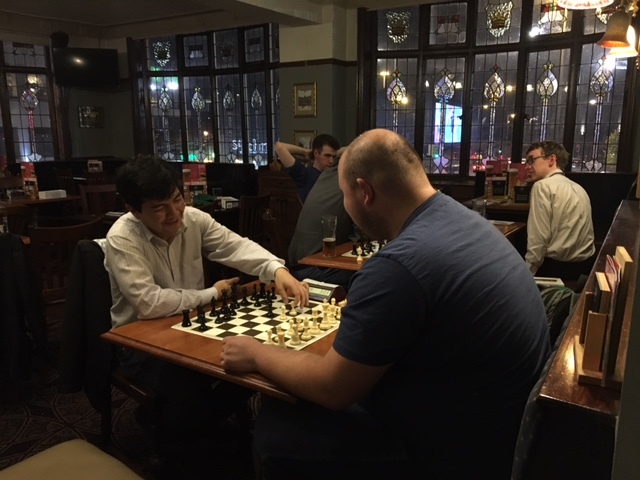 Argentina’s Fernando Rocabado FIDE 2187 (pictured) who visited Liverpool chess club on 11th October 2016 gave Tomas a torrid time in a series of blitz games, Tomas got 1 win eventually after Fernando had won the dual overall. Fernando returns to his home city of Comodoro Rivadavia in Argentina later this week where he plays for the Domingo Savio chess club. Thank you for coming along to the club Fernando!